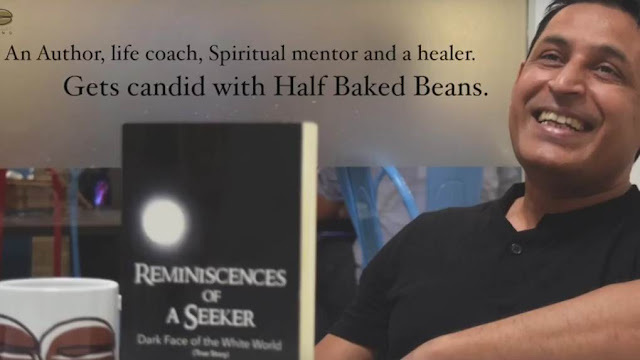 Kapil Kumar Bhaskar talks about his paranormal and spiritual experiences. 1. The book has different shades of paranormal and spiritualism. How did you manage to blend them both seamlessly? The book talks about the paranormal world i.e. my experiences with ghosts. Ghosts are nothing but trapped souls who are too much attached to the physical realm. They might be attached to people, things or emotions like anger. In my book, I have narrated about souls like that of my grandmother who was too much attached to her physical conditions, that even after her death, she used to think that she is unwell. Ghosts or souls are like us normal people, who have lived in the physical planet and those who are too much attached to this material world, often get trapped in this world and don’t want to live this world. On the other hand, spirituality teaches one to conduct one’s life in higher vibrations and not get too much attached to the material world, either relationships or material things. Spirituality teaches us to live in higher vibrations to avoid getting trapped in the physical realm. 2. The book claims to be your true account. Was it difficult for you to relive those experiences while writing this book? Yes it was. First of all, I have so many experiences, so it was a challenge to chose the experiences to maintain the flow of the book. It was painful to relive those experiences. And it was very painful as I missed my Sadhguru as I was reminded of him every moment while I was writing the book. 3. When and how did this idea germinate in your mind to account your experiences and how long it took to assimilate the words together? After the death of my Sadhguru, I missed him very much and went into depression. It was then my closest friends suggested that I write the book. In about eight months I finished writing the first one and the sequel of this. However, while writing the last chapter, in December, 2013, I fell ill suddenly and was in ICU and doctors declared that I would not survive. But, with the blessings of my Sadhguru, I survived and left the hospital in 10 days, which was nothing short of a miracle. But it took almost one and half years for me to recover and then the book was published. 4. You have mentioned about Aghoris. Please elaborate on this aspect. There are two types of Aghoris. The real Aghoris have no connection with the society and they stay in forests and graveyards and live their lives. However the other ones keep going in and out of the society and misuse their powers for their personal gains. I respect the real Aghoris but not those who manipulate their powers for hidden motives. 5. How spirituality is different from religion as the two have often been misconstrued. The origin of Spirituality is based on religion. To understand spirituality, one has to have a deeper understanding of religion. Spirituality begins where religion has no answers...Spirituality is beyond restrictions with a greater understanding. Religion is restricted to community, region, locality, where as spirituality is beyond these boundaries and integrates religion, mankind and universe. Religion is a set of rules and restrictions which are fear based where as spirituality is self discipline and is beyond fears and acknowledge internal vices. Spirituality is beyond the concept of “I know.” Spirituality is related to the infinite which can only be based on some understanding of the individual, and is not about knowing. 6. Baba Hardev Singh is an integral part of your book. How do you perceive his spiritual enlightening and did it affect your choice of spirituality. Baba Hardev Singh ji came into my life at a crucial time when I was disillusioned and in search of a real Master. Though there was not much interaction with him, but he has left a deep impact on my life. There were only two occasions when I had gone to the samagams – once I had met their disciples and the second, when I had direct interaction with him. In both occasions, the love, respect, unity amongst the disciples and towards their Master, touched my heart. It was Baba Hardev who opened my heart and assured me that there are good masters and I would find my real Master. 7. Can Spirituality help the disoriented youth of today and in what manner? 8. How can youngsters strike a balance between spirituality and routine challenges? There is no need to strike a balance as once you start practicing spirituality, life will be automatically be in balance. Spirituality teaches on how to maintain a balance. Imbalance occurs when one is too much attached to materialistic things without making much effort. Today, people too much focused on unhappiness, which brings unhappiness in future too. Appreciate on what you have today, rather what you don’t have and there will be a positive shift in your life. My message to youngsters – Don’t take shortcuts, Have faith, don’t hurt anyone, Enjoy your life.